These presentation slides 44792 are complete compatible with Google Slides. Simple download PPTX and open the template in Google Slides. 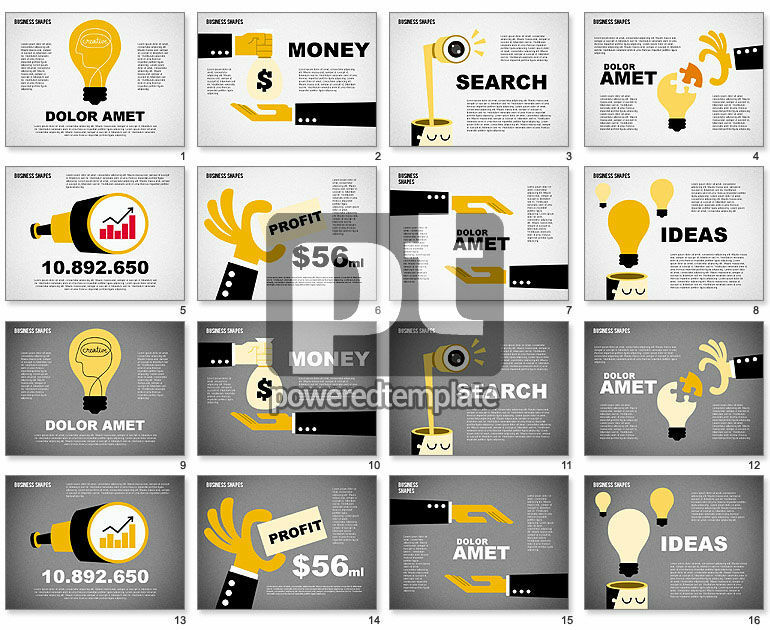 This fantastic cartoon template will help you to create your gorgeous unforgettable presentation dedicated to money, finance, search, work, profit and so on. There are various human hands, spyglass, light bulbs and other details. It`s a perfect sample to you, if want to be informative and bring a good mood to the presentation. The theme is made in a nice color palette with two background variants.